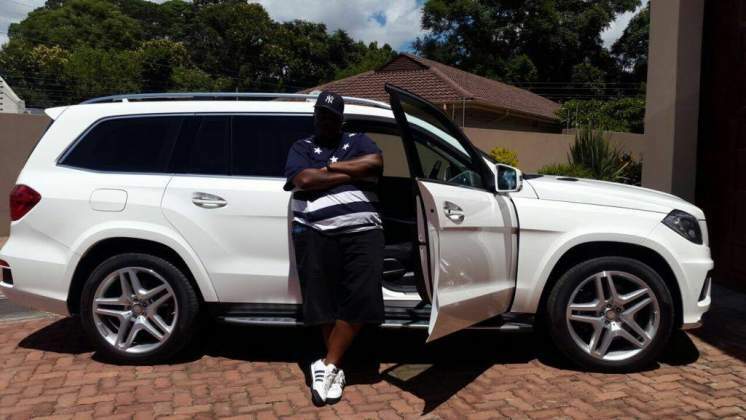 AFTER months of battling a parliamentary committee over alleged abuse of funds for a solar project, controversial businessman Wicknell Chivayo was at the weekend flaunting a R2 million BMW and wads of cash. On the Instagram picture of the BMW M760Li V12, Wicknell captioned it "I am always the last man laughing"
Since February, Wicknell has been under the microscope over the Gwanda Solar Project in which he was advanced US$5 million without the requisite bank guarantees. The Parliamentary Portfolio Committee on Mines and Energy has been piling pressure on both Chivayo and Zesa to have action taken over non activity at the area set aside for the project. A defiant Chivayo says the matter is civil between Zesa and himself and should not be handled anywhere but the civil court. Ever since the battles with the Temba Mliswa-led parliamentary committee started, Chivayo has been turning to the social media with subtle attacks at the parly team, media and other critics. On Sunday he took to social media showing off hoards of money in South African rand and a new sleek BMW M760Li V12 with an estimated value of R2 million. In one of the photos of the BMW, there is a caption 'Hupenyu hwemari kunenge kudada'. He is seemingly taking a dig at his critics who are always on his case each time he posts something on social media with another photo of the vehicle inscribed "I'm always the last man laughing". The third picture was inscribed 'V12 power to the people' probably in reference to the vehicle. Efforts to engage him on the vehicle pictures did not bear fruits as he did not respond to a message sent to him. Each time Chivayo takes to social media showing off his wealthy lifestyle, some people are quick to point to the controversial Gwanda solar project accusing him of misappropriating the US$5 million tender to his personal benefit. After his appearance in parliament, Wicknell blasted members of the committee that probed him accusing them of being ignorant of the matter. "I think the first thing that's important to understand is that no one on that panel and the general audience understands this matter especially how SPB and EPC contracts work. Hence the arguments were convoluted and winding. "Further SPB CEO does not make final decisions. He approaches SPB BOARD and decisions are made as resolutions. For all intents and purposes due process was followed resulting in a resolution where members justified their reasons, well within their powers to approve 3 awards. "Suffice it to say I tried to put across matters to people who's (sic) minds were already made up about me. All they really wanted was an explanation about the LUNCH IN DUBAI so the pressure was too much and I don't think anyone could have done better. I STOOD MY GROUND…" he bragged then.